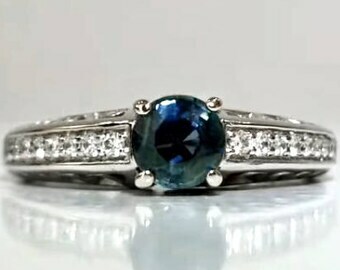 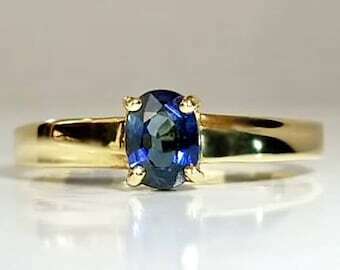 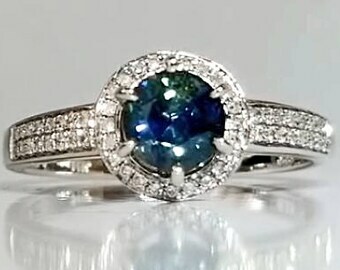 This beautiful, petite ring is set with a .41 ct vibrant blue Sapphire and two shimmering, natural diamond accents. 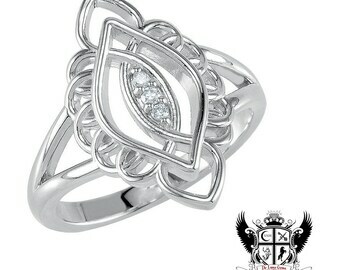 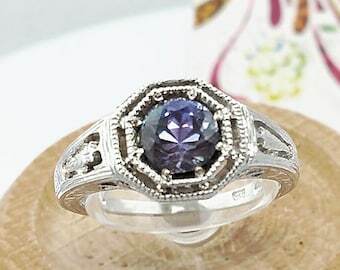 The elegant chevron pattern of this lovely Victorian style ring gives it a vintage flair. 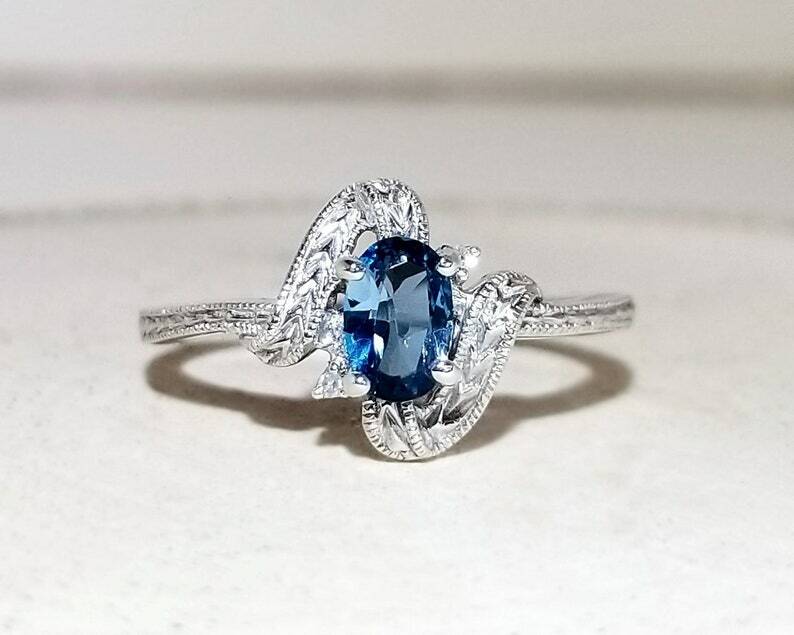 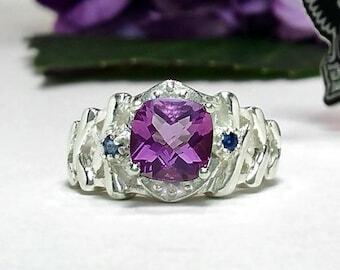 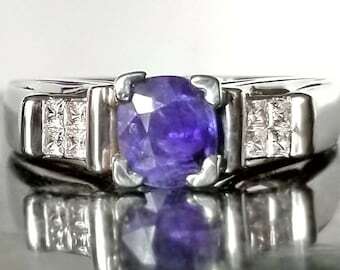 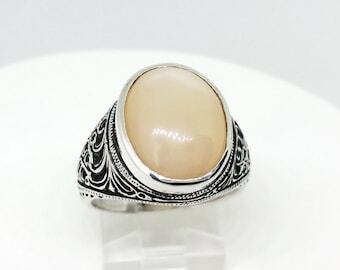 This natural gemstone ring is for those with an eye for classic beauty!